From time to time I create printables to use with my own children. It would be a shame to put all that effort in and not share them with you! So here is a list of all the printables I have so far! Is there a certain type of printable that you would like to see? If there is something you are interested in or have been looking for, let me know and maybe I can help you out! I also have printables available in my Subscriber Only Library, subscribe to my newsletter using the box at the bottom of this post to gain access to them all. Weekly lesson plans using the 30 art cards from Usborne’s Famous Artists and other excellent resources: Usborne Art Treasury, Discovering Great Artists, Getting to Know the World’s Great Artists, and Start Exploring Masterpieces. This printable contains the 6 poems to be memorized in FLL 3. Grammar memory work for use with First Language Lessons Levels 1 & 2. Contains the lists of pronouns, prepositions, state of being verbs, helping verbs, articles, and conjunctions that are memorized in the program. Get outside an enjoy nature with a scavenger hunt! 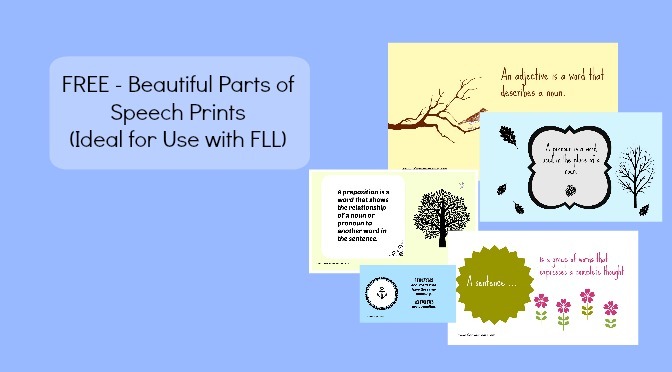 These printables are best to have printed as prints as they will use a lot of ink. Upload them to Costco or wherever you get your prints printed and enjoy beauty in your memory work. 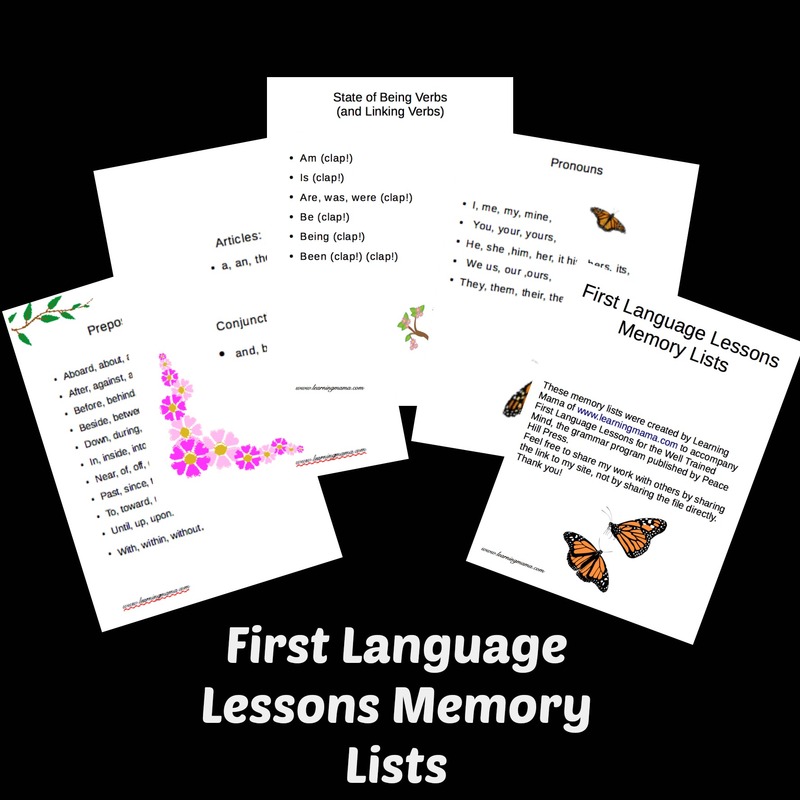 Designed to work with First Language Lessons 1&2. These activity sheets are designed to be used with upper and lower case letter tiles to aid your preschooler with upper and lowercase recognition. The pictures also reinforce the letter sounds.